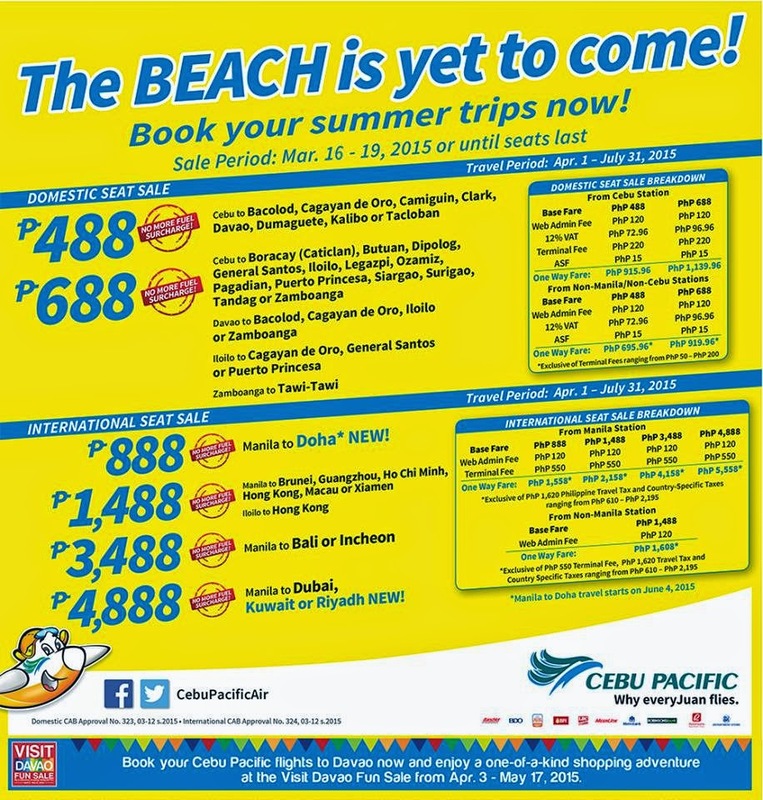 Piso Fare Promo: Hello Summer 2015! That is definitely an expression! So any plans to travel? There is no Piso Fare promo yet but here's this current Domestic Seat Sale. Most of it has a base station in Cebu. You should definitely enjoy summer! Manila to Doha*, Qatar NEW! *Exclusive of Php 550 International Terminal Fee and Php 1,620 International Travel Tax.